For decoration of billiard halls and rooms we offer the unique series of Russian paintings on the billiard subjects. You can appreciate a few dozen of various modern and historical Russian paintings. Our paintings are remarkable for the professional level of Russian painting, well-aimed comic contents and do not leave the audience indifferent. 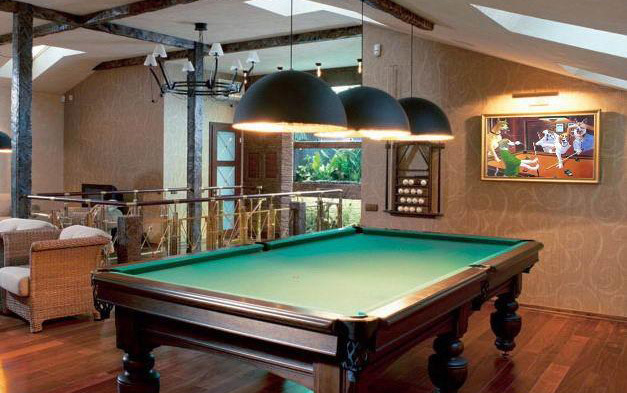 Russian paintings in the billiard room give the interior a unique flavor, and the game becomes more intense and interesting. Soft lighting of the billiard room will make perception of the Russian paintings unusual.